There is a lot of debate about Borderline Personality Disorder. Can Borderline Personality Disorder (BPD) be treated effectively? If it can be treated effectively, what does that mean for recovery? What is recovery from BPD? Many new studies now are claiming that BPD can be treated effectively and yet many professionals are still refusing to acknowledge, quantify, and/or even begin to explain what BPD recovery really is and means. The scary thing is I think too many of them are waiting for some magical pill that isn't going to come. A magical pill that if it could be invented or some pill that could do something for those with BPD (read to control them - not cure them) would be a huge pay day for drug companies wouldn't it? But it really wouldn't mean an end to BPD. I believe, from my own experience when I had BPD, that BPD is much more than merely something partly perhaps biological. It is psychological and spiritual woundedness. It is a hole in one's soul. Now, you tell me, what pill is ever going to be able to fix or fill a hole in one's soul? The answer is astoundingly simple - there never will be such a pill. Essentially the professional party line in recent years has been one forwarding a belief that Borderline Personality Disorder can be effectively treated. Okay. Now, I guess, what we really need to know is, what the heck does that really mean to professionals who continue to refuse to acknowledge the actual recovery of people like me? What does it mean when there is "effective treatment" that so far according to professionals isn't measured, defined, mapped or explained? What's up with this? Does this make sense to you? Am I missing something? "Can the label “brain disease” be applied to a cluster of willfull, irritating, often manipulative behaviors—from aggressiveness to roller-coaster emotional attachments—that may cause even psychiatrists to dismiss a patient as simply “impossible”? Impossible or not, these behaviors are part of a syndrome that psychiatry has consigned to the borderland between neurosis and psychosis, a gray area where more than one in ten psychiatric outpatients may be wandering, often without appropriate professional care—and where thousands will commit suicide. Psychiatrists Larry J. Siever and Harold W. Koenigsberg argue that the complexity of borderline personality disorder may stem from the interaction among genetic vulnerabilities (such as extremes of temperament), early experiences, and vast differences in patients’ coping patterns. Patients must be held responsible, they argue, but so must the mental health professionals whose role is to understand and help them. 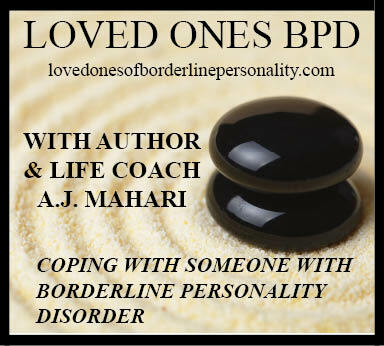 Ask even the experts about borderline personality disorder and you will get an array of theories and interpretations different enough to remind you of the proverbial blind men examining the elephant, each convinced that a part is the whole. The psychoanalyst will talk of “splitting” and distorted “object relations,” the cognitive behaviorist of “faulty schema” and “an invalidating environment.” The psychopharmacologist may refer to imbalances of brain chemicals such as serotonin and dopamine, and the sociologist to “identity diffusion” promoted by a culture rapidly losing its cohesive social norms. Probably they will agree only on certain observations of behavior: that the person with borderline personality disorder experiences rapidly shifting emotions, is highly reactive to surrounding events, and has a short fuse for irritability, anger, and impulsive behavior." Even during a recent online tv interview I participated in where the show's subject was "Can Borderline Personality Disorder Be Effectively Treated?" there was a professional, Dr. Harry Croft, who said a few things that are evidence of the way that many professionals seem to be pinning their definition and scope of BPD recovery on not only biology but also on waiting until they can better control the brain. I find this somewhat troubling. Let me just state clearly here, I am not angry or anything. I am not taking this personally. Personally I know my own truth and I know what my own life is like now. However, I am concerned and I was a bit confused. I wasn't surprised mind you, that the medical director of a website would not be able to, any more than any other professional is willing to, actually validate BPD recovery. You see how much more work we really need to do? There is so much more advocacy and awareness-raising needed. Hard to believe, but true. I take issue with some of what Dr. Croft said, not personally, but for much larger reasons. Advocacy reasons. BPD awareness reasons. Wanting to create positive change around the very negative and stigmatizing attitude by many (not all) professionals about BPD and toward those with BPD. Perhaps the irony of a show setting out to explore if BPD can be effectively treated that invites two guests on who have been successfully treated, so successfully treated that we recovered from BPD to only have a professional forward the very negative stigma that the show was, I thought, wanting to speak to in a helpful and positive way. Ironic indeed. Perhaps viewers of the show will find themselves puzzled by this as well? Perhaps an increased awareness of the stigma that still surrounds Borderline Personality Disorder, its effective treatment, and definitely that surrounds daring to tell one's truth - the truth of being recovered - past tense - versus still in recovery, will be even more highlighted by watching a well-intentioned professional help and then do more harm, I don't know. What do you think? Dr. Croft, a psychiatrist from San Antonio, Texas, who is the Medical Director of HealthyPlace.com and who also has a private practice of his own, seems like a very knowledgeable and caring professional. However, I thought it unfortunate and interesting that in the show when asked to comment as to whether he thought my recovery was "out of the ordinary" he said that the outcome of those diagnosed with Borderline Personality Disorder is basically negative. He also did say that he thought the other guest and I were "living better lives" and that he wished us well and hopes that we are correct about our recovery - his exact words were, " their assumptions." Interestingly enough a show that I think set out to help raise awareness of BPD and its treatment and to speak in a re-framing way about the pejorative and stigmatized stereotypical ways that BPD is thought of still by far too many professionals ended up in some ways forwarding that very stigma. That, to me was disappointing. I felt it important to blog about it because I clearly disagree with a few things that Dr. Croft said. Among what I found troubling about what he said was that at the same time he made some excellent insightful points about how many therapists aren't skilled enough to treat BPD and how many feel negative toward BPD clients, Dr. Croft also spoke of BPD as being a "life-long pattern" when he was describing the difference between it and Bipolar Disorder. BPD Treatment & Recovery - Mixed Messages? Dr. Croft's response to the question posed to him by the programs host asking if Tami and I were the exception to the rule of BPD recovery, citing issues with treatment and "the way most borderlines are treated, the conditions under which they are treated, the therapy that is used" Dr. Croft replied, "unfortunately most of the time the outcome will not be positive." He then went on to say, "That I think that these two guests demonstrate that under certain circumstances with the right therapist, the right group, and the sticktoitiveness of both the patient and the therapist it is possible for people to live much better lives. Until we get the place that we know exactly what part of the brain lights up with certain conditions then we can turn that part of the brain off that lights up inappropriately. Until we get there I don't know if we can use the term recovery really and be sure of that term. But certainly both our guests tonight are living much better lives than they did before and they believe that their lives are different enough that they are not going to go back to the old ways of thinking and behaving, and God bless them, I wish for them the best in the future that they're right about their assumptions." I am not sure what to say about Dr. Croft's interpretation of what I know about my own life and recovery from BPD being identified as "assumptions". After all isn't it the professionals who are in the business of what I would identify as the science of assumptions? Whether one is a professional or not one cannot know, without having actually assessed someone, whether it is appropriate or accurate to label their experience and the sharing of that experience as being "assumptions." I have yet to hear a professional speak on the issue of recovery from Borderline Personality Disorder, when coming from the perspective that BPD is a "brain disorder" in a way that is congruent, consistent, and that makes sense from beginning to end. Dr. Croft may have thought that we don't know what we know about our own lives and recovery and yet I think that Dr. Croft and other professionals, with all due respect, don't know exactly what they are saying because they just don't have the conclusive proof to back up their theories and then again not all professionals believe what that BPD is a "brain disorder". "At a time when psychiatry is grounding one severe mental disorder after another in brain biology, borderline personality disorder confronts us with an enigma—and a clinical dilemma. We have little trouble understanding how a man with a tumor impinging on his frontal lobes may become irascible and display poor judgment, or how someone with an abnormal organization of her brain may hear voices and act out of touch with reality. But we resist seeing the moody, irritable, apparently manipulative and willful behavior of “borderlines” in terms of the biology of the brain; it seems to absolve them of responsibility for their aggressive, antisocial, or even outright criminal acts. Thus we may dismiss them as “impossible” without comprehending the extent of their inner turmoil and pain." The language of BPD as a "brain disorder" does not speak to what I believe is still baffling about the opinions of many professionals - that they think there will some day be this magical pill that will take the so called "borderline brain" and fix it. How can, or will they ever know, that a pill that would shut off one area of the brain would address BPD fully? Even if they do identify more about what might be part of BPD biologically in the brain whose to say they could "shut off" the problem without unwanted side effects or even more problematic issues? These same professionals when they do speak in terms of recent (yet really still inconclusive evidence) studies and use the language of BPD being a "brain disorder" oddly enough just don't include the reality that even if there are changes or differences in the brains of some or most who are diagnosed with BPD that these changes can be changed via effective psychotherapy and the many other forms of effective treatment for BPD out now. There are many forms of effective treatment yet still so many professionals want to tell all of us that BPD is a life-long "sentence". It isn't. It doesn't have to be. In answer to the question as to whether or not Borderline Personality Disorder can be effectively treated or not, in my life experience, the answer is yes. Yes it can. And, in my case, yes it was. Watch for one up-coming soon on my thoughts about BPD as a "brain disorder", something I really do not believe. I have written about this - see my blog post Borderline Personality Disorder - An Intractable Brain Disorder? What do you think? Does hearing BPD being referred to a "brain disorder" if you have it, effect your ability to find hope, hold out, and maintain hope? I'd like to hear your opinions and comments on this. Recovery is possible. Believe that. Find and have hope! © A.J. Mahari, June 10, 2009 - All rights reserved. As you can imagine, I do have a problem with the idea that any mental health professional would put their hands on their hips and insist that recovery is an "assumption" instead of a fact. Gunderson, Zanarini, and other experts are all on your side. Recovery is possible! I just came across your site and wished I would of found it sooner. I have lost a dear friend that had BPD to suicide. She truly struggled daily with the rage and chaos she called it. She would find something in faith, with the hopes that she would be ridden of bpd, but it only lasted briefly then it seemed to all regress back to full blown episodes. Although we had a very turbulent friendship, I will miss her dearly. I wish you all the success in your recovery and Thank you for helping others with the same disorders. I am so sorry to hear of your loss. I know how much it can hurt to lose a dear friend to suicide and one that has BPD. I have lost a few friends with BPD and a few others that I was in therapy with years ago. They too would cycle between hope and despair, the light and the dark so to speak. I really believe that our friends or loved ones with BPD who have committed suicide do live on in our love for them and that it matters that we remember them - remember the people that lost their lives to the disorder without focusing so much on that part of who they were. I wish you all the best and hope that when your grief heals you will remember your friend for all she fought for in this life and didn't quite make it to. Thanks for taking the time to share your loss, it matters, it really does matter. 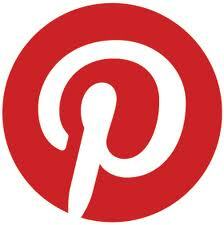 Just as your friend having been here matters tremendously also.